OK Dinghies at Alexandra Palace. 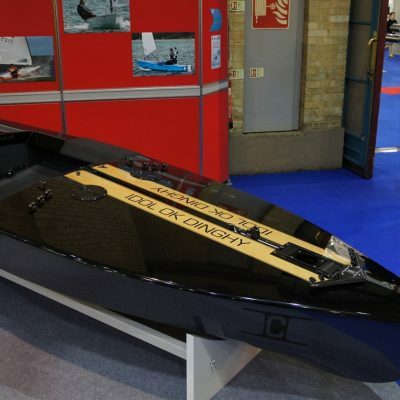 The International OK Dinghy British Class Association is delighted to announce that it will, once again, be exhibiting at the annual RYA Suzuki Dinghy Show being held at the Alexandra Palace over the weekend of the 4th and 5th March. The association stand can be found at location B40 in the Grand Hall. The theme for the stand will be the dinghy’s Diamond (60th) anniversary and, to show that even one design classes do develop in a controlled fashion, we will have two boats on display. The older one, K15, that has been very kindly lent back to the association by the National Maritime Museum in Falmouth where she is normally on display and a brand new hull from Idol Composites showing how modern design, building techniques and fit out have allowed for meaningful progression within the class but without losing the fundamental principle that existed with the designer, Knud Olsen, back in the 1950’s. 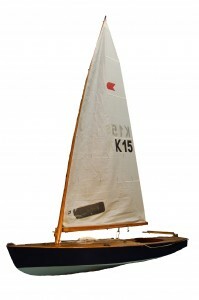 K15 or Ping Pong, was built in 1961 by Mr Patton, who built several dinghies for himself and others in the back of his watchmakers repair shop in Bath, UK. He was also a successful sailor and sailed the dinghy in the Olympic trials of 1963, when it was thought that the class might be involved in the Tokyo Olympics of 1964. Ping Pong was sold out of the Patton family in 1968. Ping Pong was donated to the National Maritime Museum by the OK Dinghy British Class Association in 2008. The modern dinghy is made to the very successful Icebreaker design but with a slight modification to give a fuller bow.The boat shows how modern materials can be used within the rules to give added strength and weight savings. Builder, Alex Scoles will be on hand to explain the construction technique and design. The newly introduced but already popular Idol Composites lifting rudder will also be on display. The association stand will be manned throughout the show by volunteers from the association who will be delighted to assist you in any way they can by answering your questions or pointing you in the right direction. If association members are able to spare a couple of hours over the weekend and would like to volunteer their services please either contact Deryck Lovegrove or Neil Goodhead or post your details on the forum or comments section below. Finally the association will be making its’ demonstration boat available at various open meetings throughout the season. This will be so that sailors, from other classes, can try a competitive OK in a racing environment. Information on how to register your interest can be found on the stand and we will be glad to take your contact details so we can get back to you when the season gets under way. We look forward to seeing you on the 4th & 5th Of March.